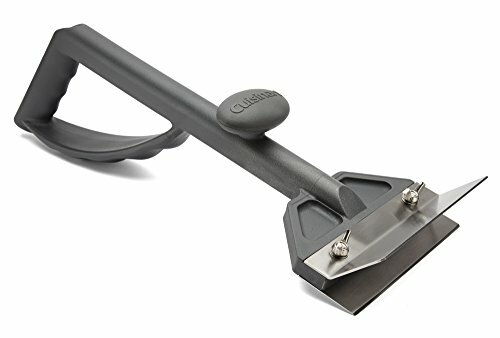 Easily remove burnt, caked-on residue from your griddle with the Cuisinart Heavy Duty Griddle Scraper! The ergonomic design has an easy grip handle allowing you to place more pressure on the stainless steel blade for a better clean. Splash guard to prevent residue from splashing upward during cleaning.